What can be done to help people to make rational choices? Abolitionists will say, “What about people who die who shouldn’t?” One should never advise or encourage anyone to commit suicide. 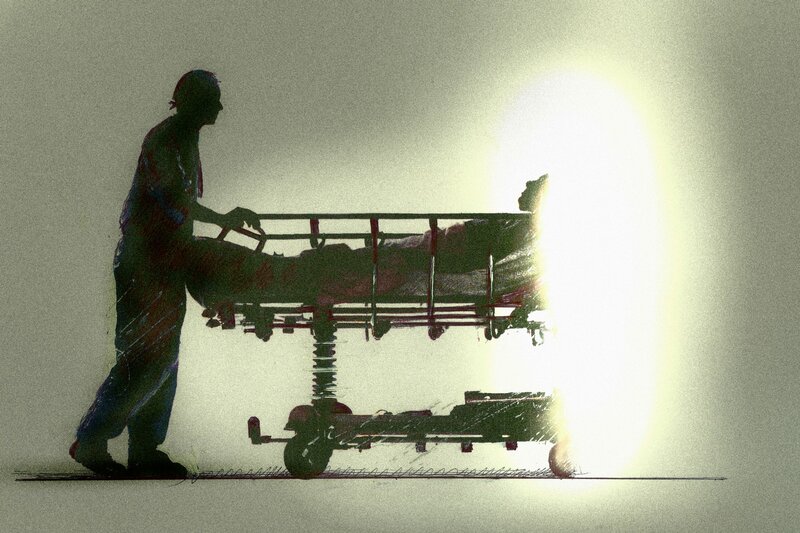 In fact dissuading is part of the ‘right-to-die’ remit, for although the will to live is very strong, there is a presumption in favour if it, and it is the individual’s autonomous determination over and above the will-to-live, over and above the best efforts of palliative care, over and above the best available social support and counselling, that makes a request for assisted suicide (or the decision for rational self-suicide) compelling. Possibly unique among ‘right-to-die’ societies, Exit is trained in suicide prevention. Both the person dying an unrelievably painful, undignified death (who actually needs information) and the high-schooler who has failed an exam and so feels suicidal (and who actually needs support) have one thing in common: they both need empowerment to make their deepest, truest objectives real (the one to die peacefully: the other one to live). For anyone contemplating suicide, for rational or irrational reasons, there are two distinct frames of mind, often identified by two different questions: “Are you feeling suicidal?” and, “Have you made a plan?” Roughly speaking, the first is emotional, the second, intellectual. Do not be afraid to ask these questions, or to listen carefully and non-judgmentally to the answers. There are controversial arguments on whether removing the means to suicide is effective. In some studies, it seems to work by extending the window of contemplation, whereas other studies suggest it merely diverts people to less savoury means. Information on rational suicide (books) as opposed to the means (rope, high buildings, barbiturates etc.) are two very different categories. A law allowing doctor-assisted suicide or euthanasia could encourage persons to voice their feelings to a doctor without fear of bias or being judged. Openness with supportive loved ones can create bonds. On the one hand, legislation would open the window of support with options to examine all available routes to make life bearable where that can be achieved or, on the other hand, provide compassionate options for euthanasia where all other routes are exhausted. Similarly, being open to the innermost feelings of loved ones, and talking to them, can extend the window – and sometimes allow a person thinking irrationally of suicide the breathing space to reconsider. If you are maybe reading this as a ‘right-to-die’ supporter, you may be thinking, “But surely your job is to make it easy!” That is not quite the case: firstly, rational and dignified suicide is not simple in that sense (as opposed to throwing yourself of a bridge – which incidentally is not always simple either). It is one of the biggest decisions of life. Any fool can jump under a car. Rational suicide on the other hand requires very careful contemplation and planning. There are no lethal gas ovens left. Doctors don’t readily prescribe lethal pills. What we do is research and more research. 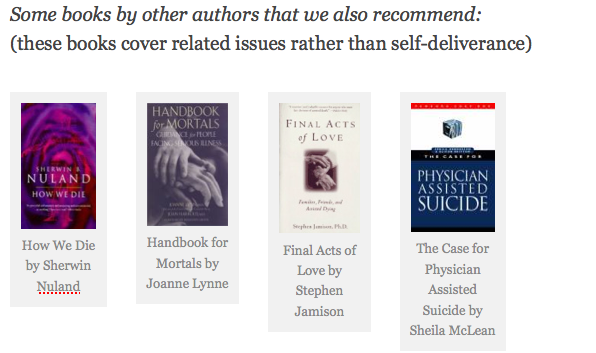 Botched suicides don’t always “save lives,” they simply make death more ghastly. We look at things that can go wrong, clear the debris from the road, find the science of the most rational, painless and dignified methods. For those that wish to become empowered, we offer truth, the key that takes away fear. If you are reading this and feeling suicidal, our first advice is to talk to someone. It might be a trusted friend or an understanding family member. Unfortunately not all irrational suicides can be prevented; and not all rational suicides will go smoothly. We can only do what we do: to help things, responsibly, legally, ethically, compassionately. We cannot solve all the world’s problems or produce perfect solutions on life and death, nor can we prevent death or bad decisions. Everyone dies: we hope that for those that have reached a point where they are committed to drawing life to a close at a time and manner of their own choosing can do so with as little pain and indignity as possible. Lester D, Psychological issues in euthanasia, suicide and assisted suicide, J Soc Issues 1996;52(2):51-62. Anestis M, Soberay K, Gutierrez P et al, Reconsidering the link between impulsivity and suicidal behavior, Pers Soc Psychol Rev 2014;18(4):366-86. Witte T, Merrill K, Stellrecht N et al, “Impulsive” youth suicide attempters are not necessarily all that impulsive, J Affect Disord. 2008;107(1-3):107-16. Sisask M, Värnik A, Media Roles in Suicide Prevention: A Systematic Review, Int J Environ Res Public Health 2012; 9(1): 123–138. Exit also includes very extensive references from all ‘sides’ in its books. This entry was posted in self deliverance and tagged impulsivity, rational suicide, stages of contemplation, suicide prevention. Bookmark the permalink. Although I’ve had suicidal duration over the past 20 years, my circumstances have changed and I found this helpful. Thank you. Euthanasia is a very sensitive topic for many as the topic can address the deepest and darkest fear of many people either death itself or the loss of a loved one. The decision of either pro euthanasia or anti euthanasia solely relies on religious and political background which deeply influences the emotions of the population. It is difficult to identify whether assisted suicide should be legal because it will affect everyone differently and there are various types of euthanasia like passive euthanasia and active which are two completely different forms of assisted suicide. For example it is hard to justify euthanasia if the patient is not coherent enough to make a solid decision or if the patient is suffering from a non-life threatening illness but with the proper rules and regulations if the government wants to acknowledge the freedom of society it is something that will be made legal within all states over the next few years.